Always, always, ALWAYS...prep your skin! This is one of the most important things you can do. If you're applying your foundation directly after your skincare, this should be no problem. I love my skincare routine at the moment--it preps my skins really nicely for foundation. Have a peek at it here. If you're applying your makeup *not* directly after your skincare (for example, when I worked an office job in DC I was always rushing in to work in the morning and applying my makeup in the office bathroom during my coffee break), then it can be helpful to spritz your face with a moisturising/refreshing spray. I recommend the Mario Badescu Facial Spray, the Urban Decay Quick-Fix Complexion Prep Priming Spray, or any generic rosewater spritz. I find that this step makes a huge difference. Note: I don't use a primer, but my mom swears by one, and her makeup always looks so flawless and completely natural on the skin. She uses the Laura Mercier primer. Firstly, only apply foundation where you need it. Most women (and men!) who wear foundation don't realise that most of their face doesn't need full coverage. I need it most in the centre of the face, so I apply it on the apples of my cheeks, my chin, and around my nose (more on that shortly!). Then I blend it out, spreading a lighter layer on the rest of my face. 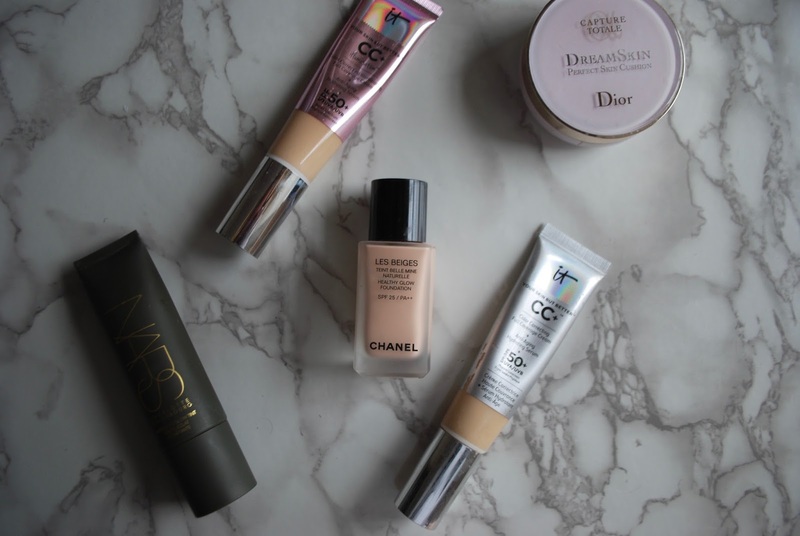 I usually avoid my forehead entirely, because I find that most foundation emphasises the little fine lines I have there, and I don't have any redness that needs evening out up there! Secondly, don't apply foundation on your nose. This is a trick I picked up from Violette_fr (a totally dreamy French makeup artist living in NYC). She says that the nose protrudes most of all the facial features (obviously) and if you have foundation on the tip of the nose, people will always notice that you've got makeup on. However, if you avoid the tip of the nose, or dab off most of the foundation in that spot, it creates the illusion that you have no foundation on the rest of your face--just perfect skin. This trick really works! I just make sure to blend the foundation really well so that it doesn't look like a patch of it is missing on my nose! If you powder, go ahead and do that at your leisure! When your whole face of makeup is finished, taking the time to spritz a finishing spray lightly over your face helps to eliminate any traces of powdery-ness. It also helps you look a little dewy and glow-y--and bonus, it helps set your makeup so that it lasts longer. This one is my current favourite, although be warned: it does give your face a glow-y finish. 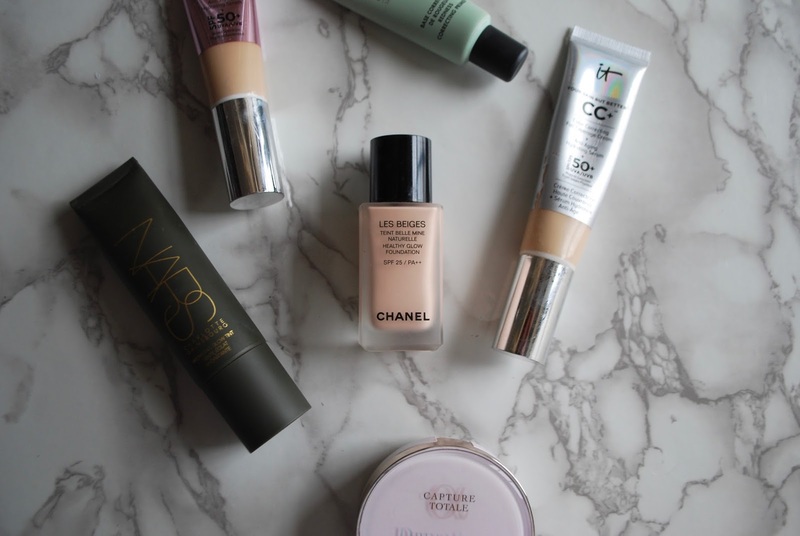 What are your top tips for natural-looking foundation application?